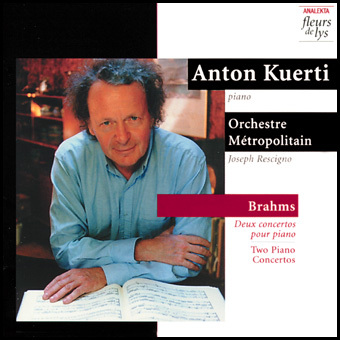 This recording contains the two beloved piano concertos by Johannes Brahms. The CD is FL 2 3139-40 ©1998 Analekta Recording, Inc., Montréal (Québec), Canada. All rights reserved. Reproduced here with permission. Analekta’s CD covers are designed by DIFFUSION i MéDIA which graciously supplied the JPEG you see embedded here.